I asked a young flight lieutenant about his first mission, early on 27 May, the morning Nachiketa flamed out. It would be the first big operation and officials in Srinagar briefed Nachiketa and three MiG-27 pilots about a Pakistani supply dump in the mountains, a treasure trove of fuel and ammunition and food and water, sustaining the NLI Infantrymen in their bunkers in Batalik and Kaksar. It was called Muntho Dhalo. He would fly twenty four more missions till 11 July, over Tiger Hill, Tololing and Jubar. One night, in July, he was flying over Tiger Hill. 'It was like daylight. Our ground troops were going in and one of my friends, a major, was part of the assault. The enemy had lit up the place with flares.' 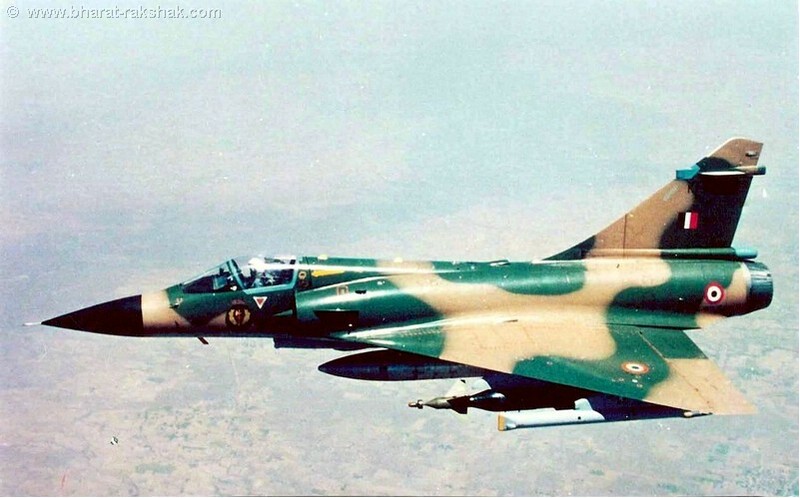 He attacked Tiger Hill with rockets and 500 Kg bombs before Mirage-2000s entered the fray. He struck Jubar one eventful night. And he blasted Tololing. At night, he saw the artillery shells, vignettes of a fearful Diwali. He saw the trails of smoke from the missiles aimed at them. The fighter pilots didn't have to climb up the mountains under fire, but they worried about the 'endless calculations about what speed to fly at and at what height to drop the bombs'. The MiG-27s aren't that sophisticated, that computer driven like the Mirage-2000s. There were control panels in the cramped cockpit, and on the control stick, below the red autopilot and the trimmer buttons, a little switch that says OH in Cyrillic. When the pilot pressed the switch, the fires of heaven would rain on the enemy. I also spotted a television screen on a MiG-27, for the TV guided bombs. This was the mathematics of death; accuracy was about saving our own troops; a little error could lead to mission failure. Were they making a difference? Were their missions just expensive morale boosters for the ground troops? Was the enemy bleeding? Was he hurting? The pilots had the answers. They heard about Pakistani distress signals and took credit for them. They had film of enemy dumps bombed to charred rubble. 'We call it battle assessment,' an IAF officer said about the films. It was another comfortable euphemism for hi-tech mayhem. You don't see much at first, just hazy images from high above, black rock and ice.  It is 16 June, 7:45 am. The cameras zoom in towards a dark patch in the ice and you see the igloos and fortified bunkers, like black warts on skin, all close together, the tracks leading somewhere, long lines on the ice. This Muntho Dhalo, now hidden under smoke as 1000 lb bombs, of WWII vintage, helped on their way by Israeli laser guided kits, smash the bunkers. When the smoke lifts, the igloos have disappeared, the tracks have gone; there is nothing, just an inky patch. It was all over in two minutes. On infra-red film, shot at night, the western spur of Tiger Hill explodes, the white smoke is dark, the black rock, white. There is more, footage of the fires over Mushkoh Valley, the destruction of Pt 4388, a Pakistani supply point. In the background, you see the snow-covered mountains and right ahead, a patch with some warts, the same eruption of igloos and snow tents. You watch the bombs fall, seconds after each other, and you see the flashes and count the six clouds of destruction, light grey to sooty black on black and white film. The ants appear for a second, desperately running away from the high explosives. It is the last second of their lives. 'We delivered thousands and thousands of pounds of bombs. Only two didn't explode,' said an air force officer. 'How many of them contained petroleum jelly?' I asked. In the early days of the war, a senior army officer at Army HQ tipped me off. 'The air force is going to use a bit of napalm tomorrow,' he said. Officially at least, it never happened. 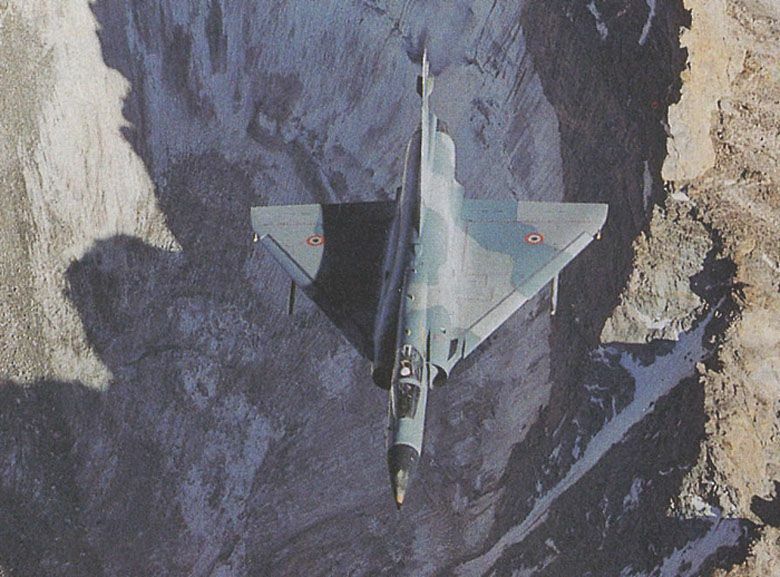 An Mirage-2000H flies over a rocky cliff high in the Himalayas. They were the IAF's most sophisticated aircraft on strike missions, and subsequently participated in many celebrated actions of Op Safedsagar. 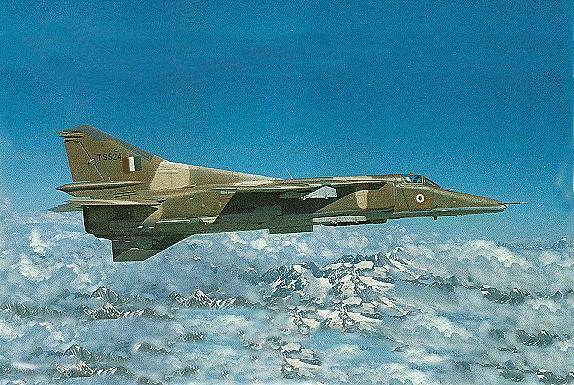 MiG-27ML [TS524] flies over the icy frontier of the Himalayas. Though not as advanced as the Mirage, they were indispensable throughout the campaign. 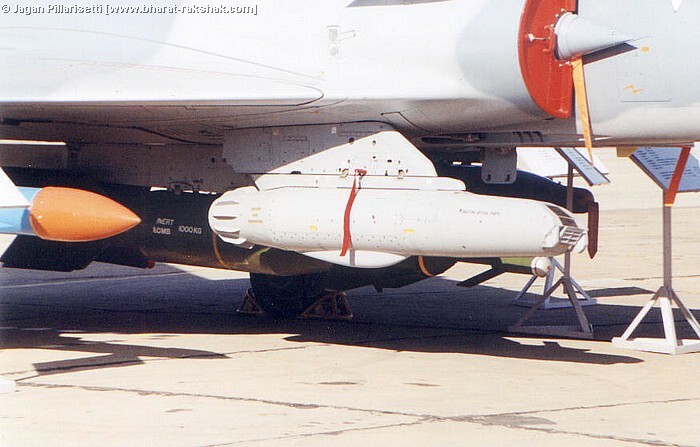 An IAF MiG-27ML viewed from the 'chin', on the nose are sensors for laser ranging. Note the wing mounted droptanks; while fixed to the aircraft, the pilot cannot change the variable sweep of the wings.